Recognized domestically and internationally as an industry leader, Tony Sargent has sold over $300 million in Manhattan property, many at record prices. 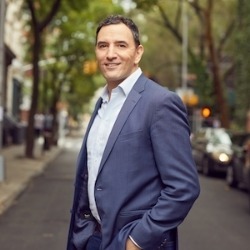 He has been ranked in the top 1% - 3% as a broker in Manhattan and the U.S. since 2003, and was recognized as “The Best Broker Seen on HGTV’s Selling New York by Curbed in 2013. As a luxury marketing specialist, Tony is also known as an expert in staging and design. He is very involved in bi coastal deals and he is here to talk about that today.